How can Lake Naivasha roses create inclusive, sustainable growth? 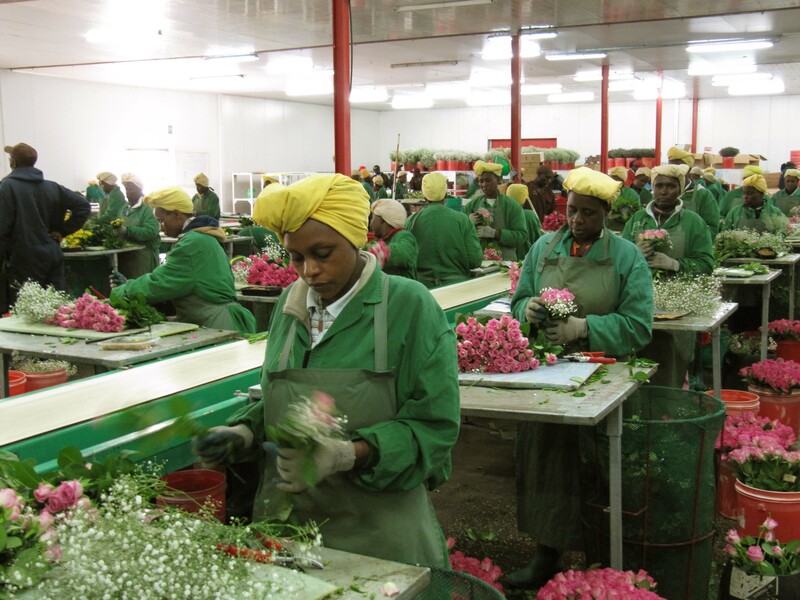 Flower production around Lake Naivasha and its role in attaining inclusive and sustainable growth: EfD Kenya researchers Dr. Wilfred Nyangena and Geophrey Sikei are contributing to the European Report on Development 2011/2012. In a context of increasing scarcity and climate change, they studied effective natural resource management for inclusive and sustainable growth. Their case study is about flower production around the Lake Naivasha basin, where water, energy, and land resources are increasingly interdependent and under considerable environmental pressures. “Water, energy, and land (WEL) are identified, by the team behind the European Report on Development 2012, as the most critical resources needed for inclusive and sustainable growth. Countries need to find adopting strategies that allows these natural resources to contribute more to inclusive, sustainable growth and, at the same time, are low carbon intensive and embrace the aspects of poverty alleviation,” says Dr Wilfred Nyangena, Research Fellow and Coordinator of Environment for Development in Kenya, hosted by KIPPRA and the University of Nairobi. Wilfred Nyagena and Geophrey Sikei show in their commissioned report the strong links between water, energy, and land resources around Lake Naivasha, the only freshwater lake situated in the Kenyan Rift Valley, approximately 80 km northwest of Nairobi. Different players compete for the Lake Naivasha basin´s resources. Small-scale farmers are growing crops upstream, and flower farmers are active downstream. Both affect water quality and availability. Pastoralists need land and water for their livestock. A geothermal power plant located in the “Hells Gate” National Park south of the lake is producing renewable energy using the earth’s heat beneath the Rift Valley, and thus saving carbon dioxide emissions in the process. However, the plant requires water from the lake as well as land. In addition, tourism requires quality water, and the Naivasha Town is growing, causing higher population pressure. “Our role is to point at changes that can be made to harmonize conflicting interests and to make a better impact from the natural resources use. Ecological integrity, social inclusion, and economic growth are the sought-after benefits characterizing inclusive and sustainable growth, or in other words a green economy,” says Nyangena (left). In order to shape a “green economy profile,” Nyangena and Sikei have mapped all green economy initiatives in the country. They have also, in a desktop meta study, mapped a potential low carbon intensive strategy for the basin area. To begin with, the continued unabated encroachment of agricultural and commercial activities into the basin makes sustainable development more vulnerable to the impacts of drought and to the erratic weather patterns currently being experienced, hence the need to reverse it. In line with the NCCRS 2010, concerted efforts should be made to control river abstraction in the upstream so as to improve availability of water for hydropower production and enhance the quality of water. The Lake Naivasha basin has been a study site for EfD Kenya for some years now and hence, their previous work on sustainable land management and payments for ecosystems services also informs this new study. There is a water management scheme in use in the area, where flower farmers downstream contribute money to agricultural farmers upstream to make them adopt soil conservation and afforestation measures. Deforestation in the upper catchment causes extreme floods during rainy season and low volumes in drought. “Local government, flower farmers, and small scale agricultural users implement various initiatives to improve the management of the basin. But more is needed, for instance proper implementation of payment for ecological services, enhancement of water resource management and water use efficiency by flower farms, promotion of public-private dialogue, and assistance in coordinating the emerging actors and their initiatives,” says Nyangena. Close to 2 million Kenyans derive their livelihoods from the Lake Naivasha basin. Incomes are relatively higher here than in the rest of the country. Flower farmers around the basin produce one-fifth of all roses on the EU market. Together these companies generate about ten percent of Kenya’s total foreign exchange revenue. The title of the commissioned EfD report is “The importance of natural resource management for inclusive and sustainable growth: A case study of flower production around Lake Naivasha, Kenya”. The final European Report on Development 2011/2012 was presented to the European Commission in March 2012.